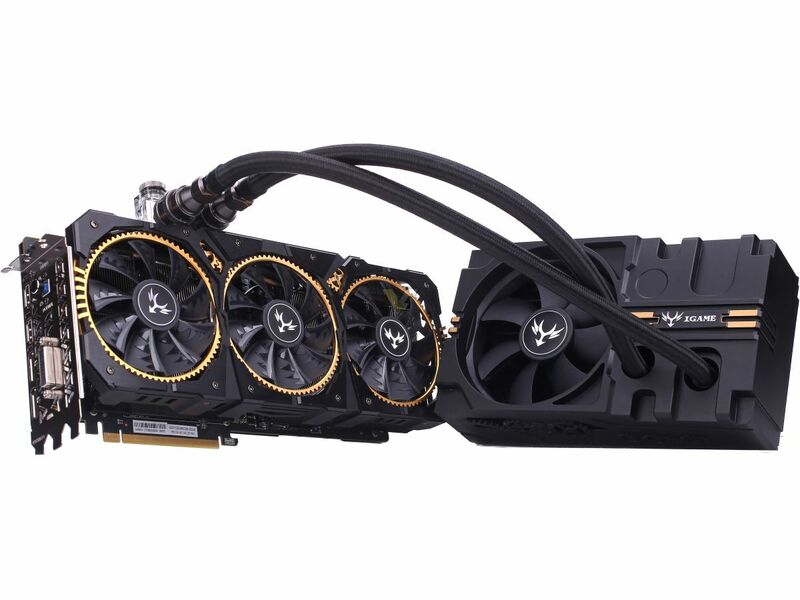 Colorful has officially unveiled the fastest GeForce GTX 1080 Ti model to date, their custom built iGame GTX 1080 Ti KUDAN. The new graphics card houses an enthusiast grade PCB that is fitted with a top of the line hybrid cooling solution. There have been many top of the line GeForce GTX 1080 Ti launches in the past few months. We saw the MSI GTX 1080 TI Lightning Z, EVGA GTX 1080 Ti KINGPIN, ASUS ROG GTX 1080 Ti Poseidon and the GALAX GTX 1080 Ti HOF. 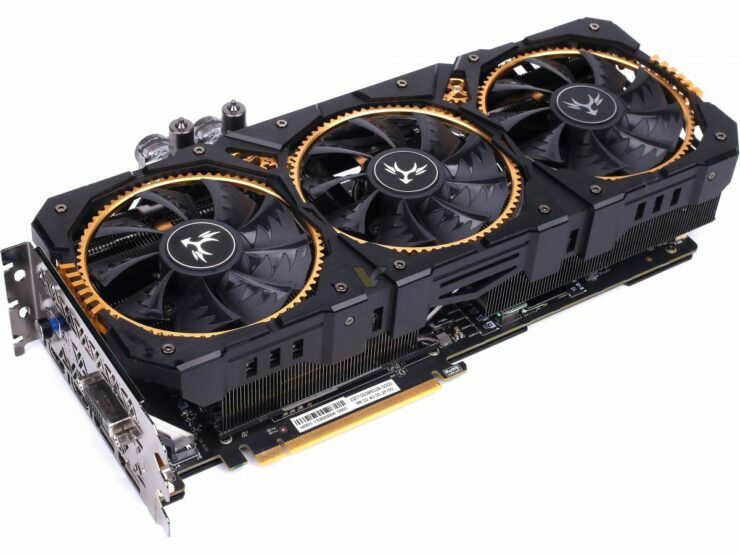 Colorful has a range of graphics cards based on the GTX 1080 Ti design that include the Vulkan X OC and the Neptune but they are taking things to the extreme on the iGame GTX 1080 Ti KUDAN. The Colorful iGame GeForce GTX 1080 TI KUDAN is a monstrosity with a triple fan and triple slot design. 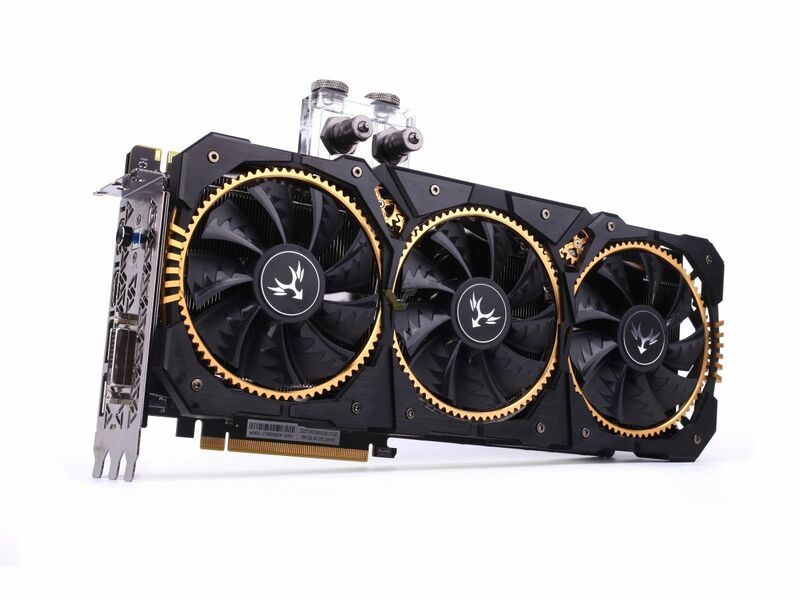 The design of the shroud is very similar to the iGame GeForce GTX 1080 KUDAN but this card makes use of a hybrid cooling solution. 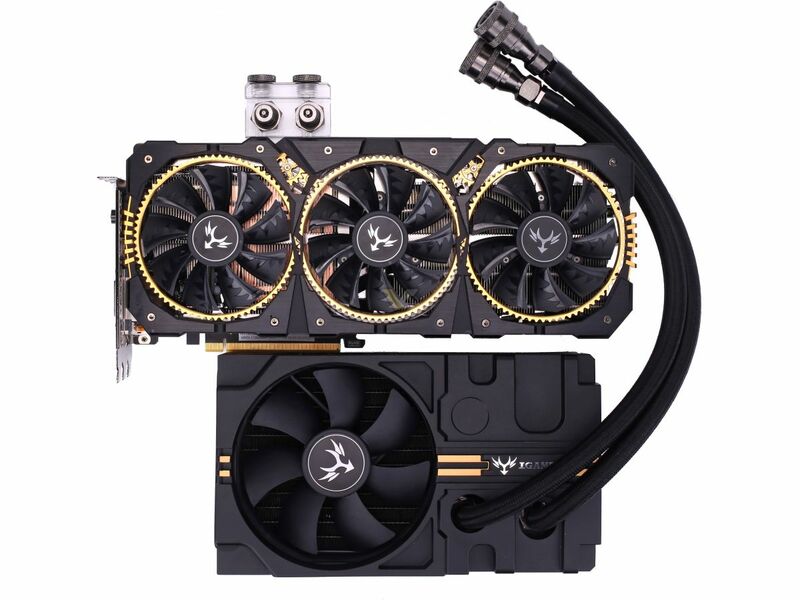 As for the technical specifications, Colorful states that they have selected only the best GP102 GPUs for their iGame KUDAN graphics cards to ensure the best clock stability and overclocking performance. 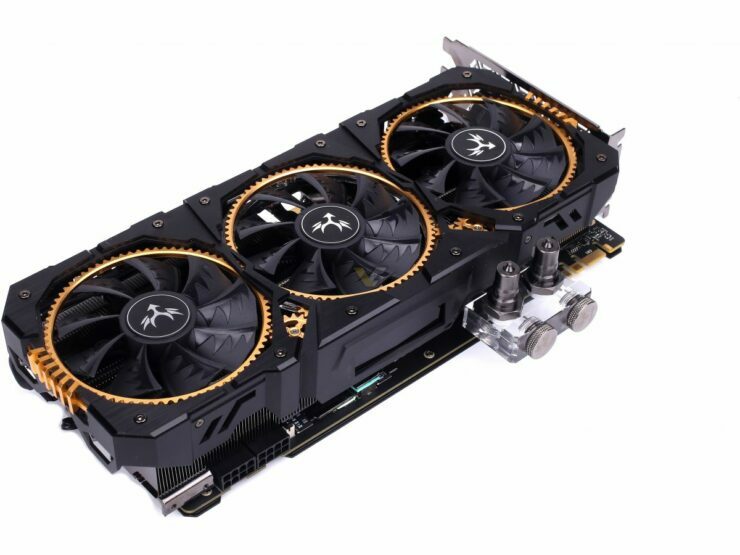 26th, July, 2017, Shenzhen, China – Colorful Technology Company Limited, professional manufacturer of graphics cards and motherboards, produces its flagship graphics card iGame GTX1080Ti Kudan in China which takes the most advanced technology into performances. Using “Jiu Duan” as name, iGame has produced one advanced flagship card each year and each GP102 chip of “Jiu Duan” has been selected from 100 chips because of its high one key overclocking frequency setting before factory. The card, just like every other GeForce GTX 1080 Ti graphics card, features the GP102 GPU. The core comprises of 3584 CUDA cores and 11 GB GDDR5X VRAM. The clock speeds are maintained at 1657 MHz base and 1784 MHz boost which makes it the fastest clocked GTX 1080 Ti to date and that clock bump will result in good performance impact in games compared to other 1080 Ti cards. Coming to the design of this card, we are looking at an insane 3-Slot form factor. The card uses the latest Waterspout Cooler II that houses a hybrid system and can take advantage of both air and liquid cooling. Users can either use the triple fan cooler which houses a beefy heatsink (aluminium-fin) based solution. Or they can attach the card to their custom water-loop for even better cooling performance. If you don’t have a custom loop PC, don’t worry, Colorful has included a detachable module which includes a radiator and an integrated pump for maximum cooling performance. The Waterspout Cooler II, a new cooler created by iGame GTX1080Ti Kudan, still equips with iGame-Status Monitor from which you can know the real time core frequency, core temp, fans speed and the occupation of memory. Customers can directly see the operation status from load line and they can also change the information while with iGame-Zone II software. Dismountable WaterCooling-Kit consists of water block and integrated pump as well as radiator. Original integrated design gathered pump, water block and cooling fins together. As for the radiator, it’s specially customized with high air pressure fans to make it more powerful. Besides, the radiator has a customized pump which is smaller than normal, so customers needn’t worry about its size. Power to the card is fed through dual 8-pin connectors which should be enough to power the electrical circuitry on the PCB. It should be mentioned that this card uses a high performance, custom PCB design, which should deliver better overclocking performance and stability. Display outputs on the card include 1x DVI, 2x HDMI and 2x DisplayPort. There’s no word on the price currently but we can expect to be paying higher than $800 US for this beast.